It’s not exactly a problem, but a doubt. 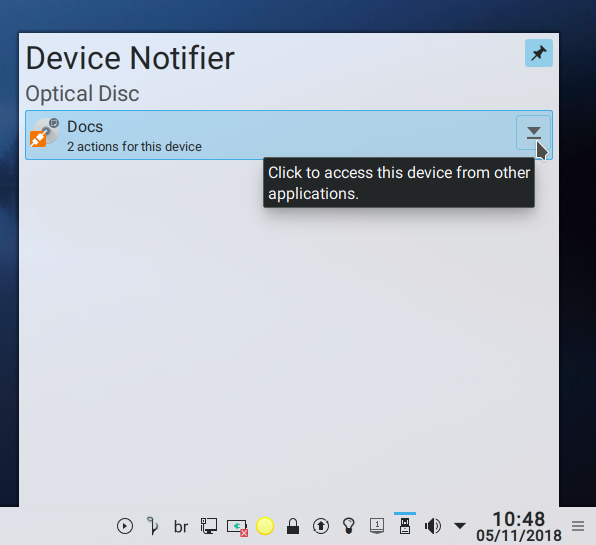 I use KDE Plasma desktop environment on my system, auto-mounting of removable devices is NOT enabled. I can play DVD discs with VLC, SMPlayer, Keffeine and Dragon players even when both “mount” command and Dolphin file manager indicate that the disc is unmounted. Why? A DVD doesn’t have to be mounted for VLC to be played, it will connect to the DVD station automatically when given the command. @Bryanpwo Thanks for your reply. What about the other players mentioned? Is there any way to prevent playback when the disc is unmounted? ps: audio CDs also can be played while unmounted. Do the discs open and play automatically, when inserting the disc? If that’s the case, you have to look at your preference settings. Do the discs open and play automatically, when inserting the disc? Ah, okay. I don’t have a solution for this, my guess is that all mediaplayers can open discs work like that. knowledge is amazing. I like to read the comments of everyone.